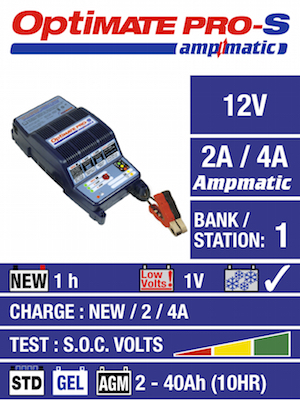 The world’s most advanced fully automatic 12V battery charger! 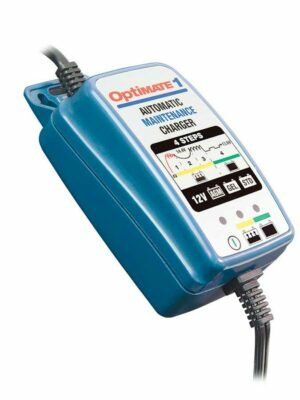 SKU: TM-254 Category: Battery Chargers Brands: Optimate. 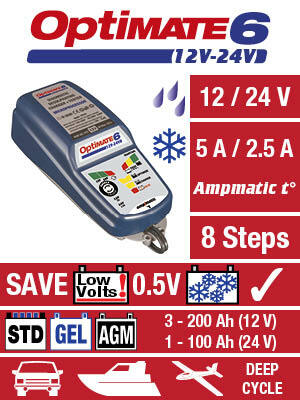 Multi-stage desulphation: Restores neglected batteries from as low as 0.5 Volts. 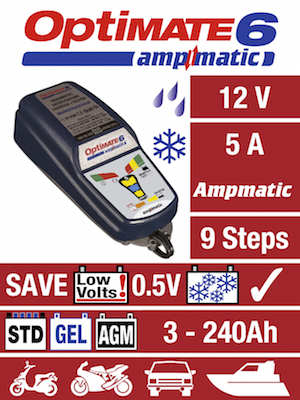 AmpMatic charge control: adjusts current to suit any battery size (3 to 400Ah) OR condition for fastest and most complete charge. 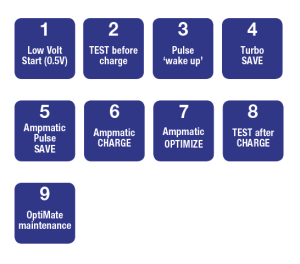 Cell voltage balancing mode: optimizes battery performance. Tests before and after charging: indicates battery status, actively tests during long term maintenance. Interactive float charge: maintains battery fully charged, weeks or months long. 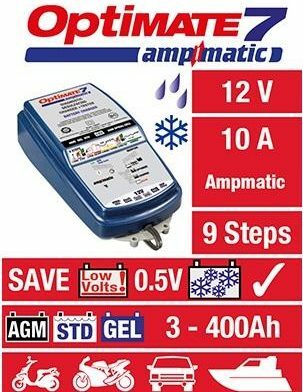 CHARGING AMPS : 10A (AmpMatic) @ 14.4V. TEMPERATURE COMPENSATED VOLTAGE: Voltage compensation at -24mV / °C, from 20°C. 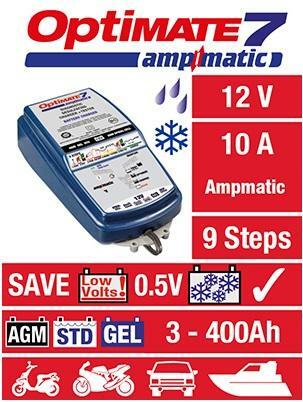 IDEAL FOR : STD, AGM, GEL & Deep Cycle 12V batteries from 3 – 400Ah.